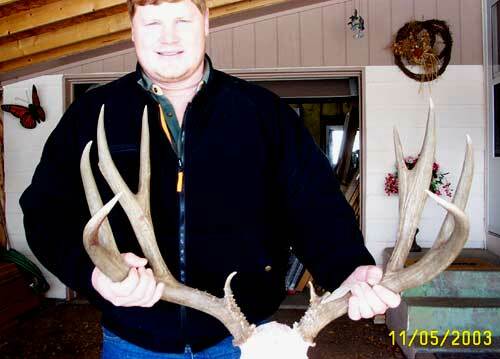 I shot this 5×6 Mule in Northern Colorado.† It has a 28 1/2" spread to the outside of the beams. Dan V.
nice buck . how much did it score? I shot this Deer in the North Park Area. I didn’t even attempt to score it after it was shot. I took this picture at the Taxidermists place after I realized I had a digital camera with. I originally thought I forgot my camera so I didn’t get any real good pictures right after the kill… If I remember correctly I think the G2s were 14 or 15" but I really cant remember.